We are looking for Spokes Kids to review their Hondas, and we want it from the kids point-of-view! We have teamed up with Parents & Kids Magazine to help organize the Spokes Kids contest that will appear in on-line videos of kids’ reviews of Honda cars. 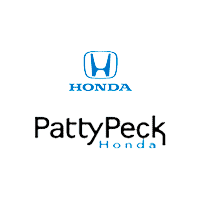 After the selection process is complete, the final spokes kid(s) will appear in a Patty Peck Honda televised ad. Parents & Kids Magazine, a trusted family source for all things fun and informative, will handle all the details. By Parents & Kids Magazine focused on family-friendly places to go and things to do in Central Mississippi. Have a questions about the Spokeskid Contest or Pick-a-place? Please feel free to contact Parents & Kids at pick-a-place@parents-kids.com or call 601-366-0901.